Tickhill's Callum Stewart in action against Sprotbrough. Sprotbrough edged past Tickhill to reach the final of the Whitworth Cup. 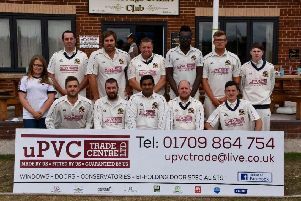 The Melton Road club won Sunday’s all-Championship semi-final by 14 runs and will face Elsecar in the final next month. Jonathan Scaife (39), Alex Rudkin (32), Charlie Kaye (28) and Daniel Wright (27) helped Sprotbrough post 191 all out. 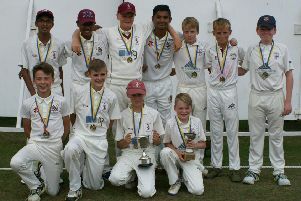 Ahmed Jamal took 3-42 and Callum Stuart claimed 2-46. Tickhill’s reply was in disarray at 48-5. Scott Lowe (30) and Jamal (32) restored some order but the run chase appeared to be over at 136-9. That was the cue for tailender Paul Shepherd to smash 39 not out off 35 balls and make Sprotbrough sweat. But Tickhill were dismissed when last man Matthew Lowe was run out by Kaye with the scoreboard on 177. Kaye also finished with 3-34 with the ball, while Wright and Ashley Langdale claimed two wickets apiece. n Championship leaders Tickhill fell to only their second league defeat of the season at Elsecar on Saturday - and are no longer sitting so comfortably at the top of the table. After collapsing to 93-8, Callum Stuart rallied with 41 not out to raise the visitors’ total to 161-9. Elsecar slipped to 29-3 in reply but Puneet Datey steered the home side to a five wicket win with an excellent 77 not out. Only seven points now separate the top four sides. Tickhill host third-placed Conisbrough on Saturday in a vital game for both sides. Sprotbrough, who lie sixth in the table, suffered a disappointing 109-run defeat at bottom side Sheffield and Phoenix United. Isuru Jayakody (57) top scored in United’s 230 all out. Eknoor Singh claimed 3-75 and Charlie Kaye collected 3-10. In reply Sprotbrough collapsed to 121 all out. Kaye was top scorer with 33. Aamar Khan did substantial damage by taking 5-24. Sprotbrough host promotion-chasing Elsecar on Saturday.